Interestingly, the billions of cockle shells that make up Shell Beach come from a single species of mollusk that thrives in the area due to two important factors. First, there is the location of Shell Beach in the innermost part of the horseshoe-shaped Sharky Bay, with the world’s largest seagrass bank blocking the tide. And then there’s the hypersalinity of the area – double the level of salinity of the Indian Ocean – due to to a climate with less precipitation than evaporation. The high salt concentration keep predators at bay, allowing the Shark Bay cockle (Fragum erugatum) to thrive. Unhindered by the tide and natural predators, the small cockles were able to live and breed on the ocean seabed, with billions of their shells washing up on the shore over thousands of years. 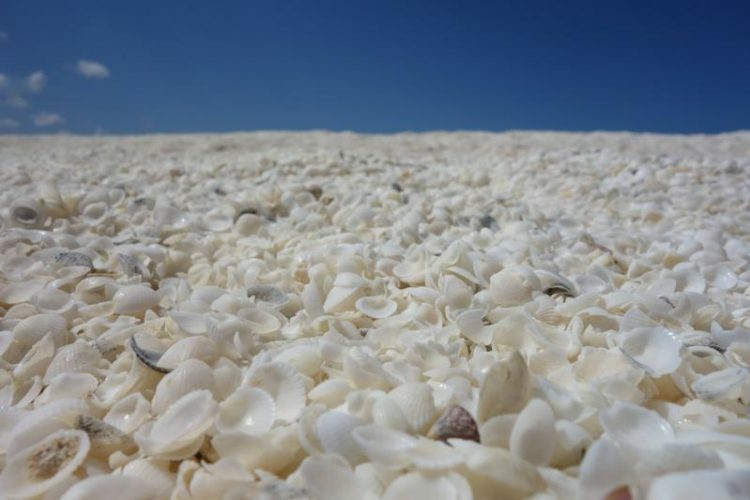 Though small – only a few millimeters in size – cockle shells make up the entire beach. 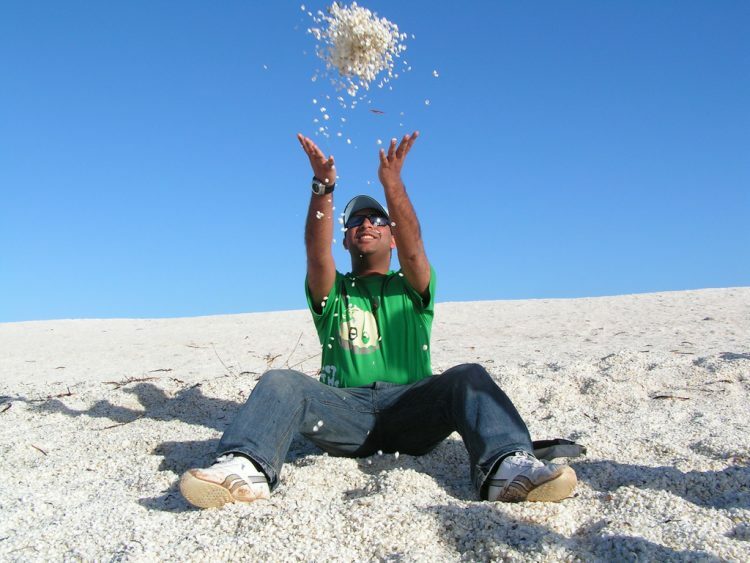 Cockle shells are so abundantly available in the Shark Bay area that over the years, people have used them to build houses, restaurants and churches, by compacting them into building blocks. The practice was very popular during the 19th and 20th centuries, but it has since been discontinued after Shark Bay was awarded UNESCO world heritage status in 1991. For more amazing beaches, check out New Zealand’s Hot Water Beach, and this incredible glass beach in Russia.